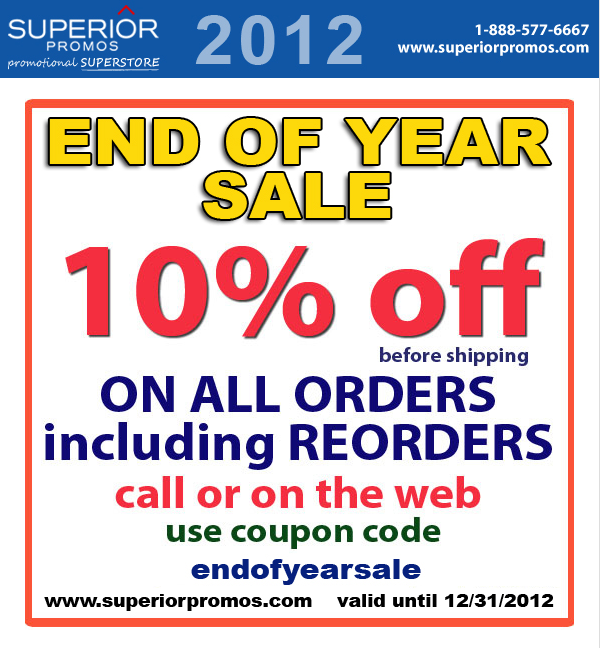 You are currently browsing the Superior Promos Promotional Products and Items Blog blog archives for December, 2012. 75% Off on Promotional Products? Yes, It’s true! 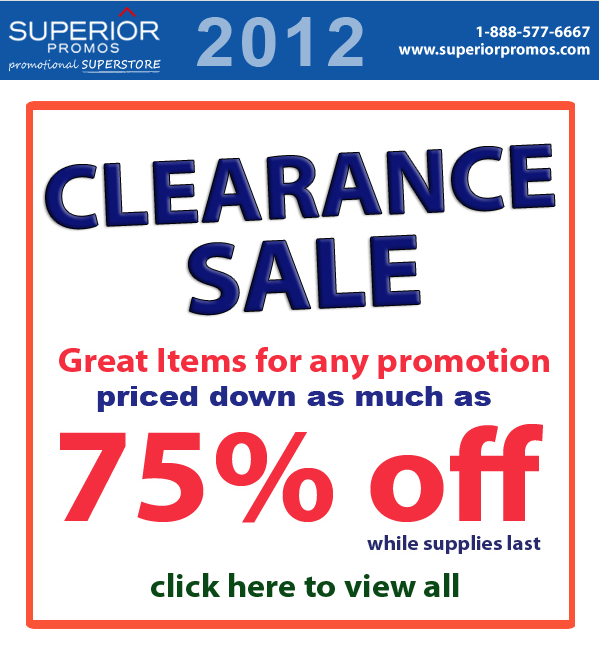 Save up to 75% off promotional products as part of our end of year clearance sale. Now is the best time to get your promotional products ordered for 2013!